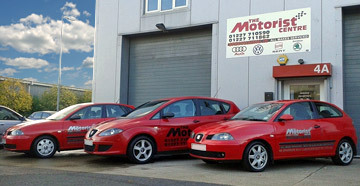 The Motorist Centre - Car Repairs & Servicing near Canterbury. With our new 2 post lift installed in the workshop, we now offer servicing/repairs on vehicles such as vans and motorhomes weighing up to 4 tons. Call us for more details. We offer high quality servicing and repair work on all makes of car. Call us today for a competitively priced quote to suit your requirements. If your car's air conditioning system isn't working as it should, call us today for an assessment. We can offer a repair and regas service to get the cold air flowing again. For your convenience, The Motorist Centre can offer the use of a courtesy car whilst your servicing or repair work is carried out (subject to availability). The Motorist Centre is a family run garage that offers high standard servicing, repair and MOT testing for all makes of vehicle. With over 15 years experience as a dealership for SEAT cars, we are specialists in maintaining vehicles from the Audi, SEAT, Skoda and Volkswagen ranges. Based near to Canterbury at Lakesview Business, Hersden, The Motorist Centre provides a friendly, reliable service at competitive prices. 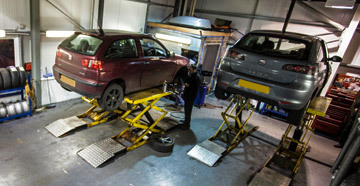 Our workshop contains a wide range of professional and modern diagnostic and repair equpiment and we are able to offer a free courtesy car (subject to availability) or free local collection upon request. We offer high quality servicing and repair work and can arrange for MOT testing to be carried out. We can also service air conditioning systems and order/fit tyres upon request. 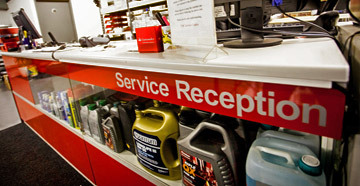 We’re a family run garage with a small team of friendly, knowledgeable and reliable staff. Meet the team and find out more about The Motorist Centre here. Our workshop is conveniently located for vehicle repairs in the Canterbury/East Kent Area. View our contact details and see a map of our location on the contact page. "These guys know their shizzle. Truly professional service and a service & parts department that will go above and beyond the call of duty to ensure customer satisfaction." "Brilliant lads, decent price, honest and trustworthy. All the family use them for Skoda, VW, Honda and Audi - wouldn't go anywhere else." "I recommend The Motorist Centre. It is family run business. A very good service, very good prices. Well done Nathan, Jamie and Ben. Keep up the good work." "Knowledgeable, friendly and helpful guys who provide outstanding service at a good price. They've always done a great job on my cars, I highly recommend them!" "I bought my first Seat from these guys in 2003 and since then have taken any SEAT or Skoda I have owned to them for service, MOT and repairs. They are completely trustworthy, very friendly and always do a great job. I wouldn't hesitate to recommend them to anyone." "What they don't know about cars is not worth knowing! Fantastic guys, trust them implicitly with my car, and would never use anyone else. Great price and service."